SINGAPORE: Aspiring home owners can expect to see more build-to-order (BTO) Housing Development Board (HDB) projects launched in mature estates next year, promised National Development Minister Khaw Boon Wan on Monday. Announcing this latest policy shift in another blog post, he said: “I have asked HDB to look into more mature estates as possibilities. He said that his ministry had been “rather reluctant” to launch BTO in mature estates as it was worried that such popular launches would attract high subscription rates, “further alarming the market”. “While this is a valid concern, I believe Singaporeans will understand that mature estates will always attract very high subscription,” he said. Khaw added that it would be inevitable that some of these new sites would be near existing residential blocks, and he hoped residents would bear with the construction while works were under way. The blog, titled Making a Calculated Move, was his third since last Thursday. Like the other two as well as his recent comments it showed the determination of the new National Development Minister to address areas in housing which are causing unhappiness to various segments of Singaporeans. Last Friday, he spoke of speeding up the construction of new flats and raising the number of BTO units from 22,000 to 25,000 this year. At a forum with youth on Sunday, he said that more rental flats must be built for lower-income families. Under the BTO system launched in 2002, the HDB builds flats in response to demand for them. 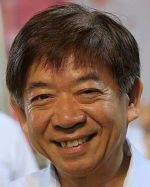 In his latest post, Khaw noted that the current BTO launch for 4,000 new units in four towns was under way. So far, there have been about 8,000 applications, and this was within the ministry's expectation. Not surprisingly, he said, projects in the mature estate of Tampines are the most popular, with many applying for four and five-room flats. He acknowledged that new flats in mature estates are more attractive since many couples living there would like to continue to live close to their parents. This is a move which the government supports, and so it has doubled the chances of such couples under the Married Child Priority Scheme. The current BTO launch in Tampines was also the first one there in recent years, he noted. He said that young couples eagerly looking for new homes should calculate their chances. “My advice to them is to opt for non-mature estates,” he said. “You improve considerably your chance of securing one in the new towns, instead of competing with many others for the popular projects in the mature estates,” he said, adding “good luck friends, and congratulations on your recent or upcoming wedding”. For years, the Ministry of National Development's (MND) position has been to focus on launching new flats in non-mature estates such as Punggol and Sengkang. Last year, former national development minister Mah Bow Tan said that land in mature estates was limited and the mainstay of BTO supply would still be in outlying estates. Launches in mature estates have proven to be wildly popular. In 2009, 1,718 BTO flats in Queenstown SkyVille@Dawson and SkyTerrace@Dawson received over 10,000 subscriptions, or 12 buyers for some units in the estate. In 2007, 400 flats in Telok Blangah Towers were oversubscribed nearly 20 times, with 7,970 applications. Mature estates usually have more established infrastructure such as recreational and educational facilities and well-connected transport links. In such areas, land for building new flats is limited and flats built are generally snapped up quickly. Dennis Wee Group director Chris Koh said that these projects were also likely to be smaller in size, given the limited land. He added that flats could be built at the perimeter of mature estates. Colin Tan, research and consultancy director at real estate firm Chesterton Suntec International, said HDB could overcome such size limitations by building taller blocks and increasing the population density. Khaw's latest announcement gives hope to buyers like human resources executive Teo Yingying, 25, who has applied for a BTO flat with her boyfriend five times with no success. She is hoping for a BTO launch in Tanjong Pagar where she now lives with her parents. “I want to be near my parents. If we ever have children, my parents can help me take care of them when we're working,” she said. MND said that it was studying suitable sites and more information would be released later this year.